UNITED NATIONS, Jun 12 2014 (IPS) - When sexual violence – whether against men, women or children – takes place in United Nations peacekeeping missions worldwide, the world body has been quick to single out the perpetrators and expel them back to their home countries. But the U.N. has little or no authority to prosecute offenders, mete out justice or ensure adequate compensation to victims. The 193 member states, which provide thousands of troops for peacekeeping missions largely in Asia, Africa, and Latin America and the Caribbean, are beyond the reach of the long arm of the law. These reparations include restitution, compensation, rehabilitation and guarantees of non-repetition. “A key element of reparation is that it should be proportional to the gravity of the violations and the harm suffered,” says the 20-page document. Sanam Naraghi Anderlini, co-founder of the International Civil Society Action Network (ICAN), told IPS it would be useful to know how the United Nations plans to disseminate the guidelines so that its own staffers are trained in these issues. “And what means do they have to ensure compliance?” she asked. In other words, is this guidance just for optional use, or is this setting a baseline standard by which the United Nations must operate? “What are the penalties for non-compliance? And how will they monitor this?” asked Anderlini, who is also a senior fellow at the Massachusetts Institute of Technology (MIT)’s Centre for International Studies. In its report, the United Nations also points out some of the flaws in the existing system. In South Africa, for example, reparations to victims of sexual violence took the form of a one-off payment of approximately 4,000 dollars. However, the policy failed to take into consideration both power differentials within families, as well as the historic lack of access to bank accounts among women. “Local victims groups reported the money was often deposited into the accounts of male family member and women were given limited or no control over the resources,” the guidelines stated. In some cases, tensions over how money should be spent in households lent itself to family violence, according to the United Nations. Shelby Quast, policy director at the New York-based Equality Now, told IPS it is vital that reparations occur alongside development of a human rights-based legal framework that protects the rights of women and girls in the post-conflict and development periods. “Because so much sexual violence is targeted toward adolescent girls, it is also important the variety of reparations – medical, psychological, financial, etc – pay special attention to the unique needs of girls at this particularly formative time in their lives,” she added. Under-Secretary-General for Humanitarian Affairs Valerie Amos cited a study by the International Criminal Tribunal for the former Yugoslavia (ICTY), which found that in one concentration camp near Sarajevo, 4,000 of the 5,000 male prisoners said they had been raped. 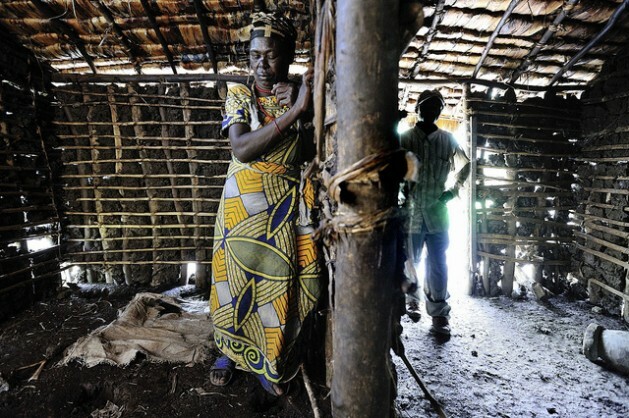 She said research in the east of the Democratic Republic of Congo (DRC) found that one in six of the men surveyed said they had experienced conflict-related sexual violence. And a study in post-conflict Liberia found that among former combatants, 42 percent of women and 33 percent of men had experienced sexual violence. “There are huge gaps in research, but we know that all sexual crimes are under-reported and those against men and boys in conflict are particularly difficult to quantify,” said Amos. Anderlini, who has done extensive research on the subject and is armed with field experience, told IPS victims of sexual violence should have the right and ability to move beyond ‘victimhood’ and reclaim their lives. To this end, they require physical and psycho-social care, access to justice, and educational and professional opportunities to rebuild their lives. They also need a socio-cultural context that accepts and respects them, she pointed out. Anderlini also said justice for victims should not be limited to legal justice or stand-alone reparation programmes that depend on people coming forward. For example, she said, health clinics and workers must be trained to deal with sexual violence issues in all these settings. Sounds like male victims will be second class victims. How is the U.N. going to ensure that this doesn’t happen or is that the goal?